As your independent development partner, we shape your requirements into an approved product ready for series production. 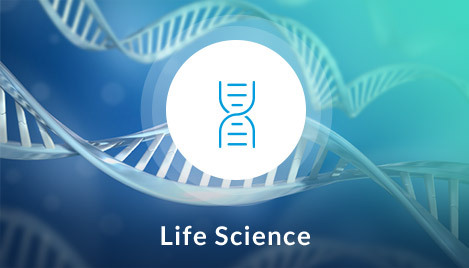 Medical Technology & Life Science. Since 1994 we have been developing product solutions for medical technology and the life science/analytical measurement technology sector. As independent development partner working in interdisciplinary teams, we take responsibility for the successful implementation based on firmly established know-how and our process-neutral development – from the idea up to the approved product. Innovative product development with passion and pleasure for our customer and with our partners – this is what DMTpe stands for. 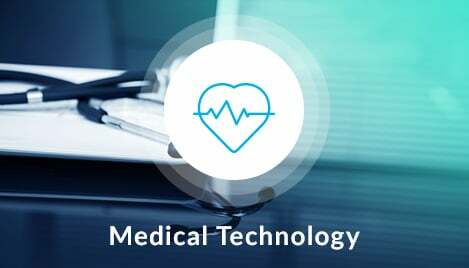 We rely on a team with many years of experience and a broad knowledge of applications in medical technology. Using an extremely structured procedure, we take over responsibility for the successful implementation – on schedule, within the development budget, at defined production costs. 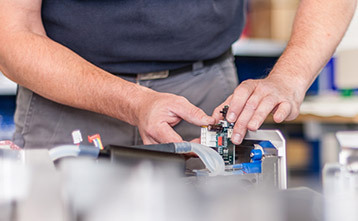 We are professionals for innovative mechanical product architectures (system design), casing solutions, dynamic functional mechanics and full-service solutions – from prototyping to industrialization. We conform to the QM system of the customer or develop products according to our ISO 13485 certified product development process. Professional project management and controlling are standard features of our work ethic. Processing and methodical evaluation of all requirements for the User Requirements and Functional Specifications, brainstorming and finding solutions with your decision makers. Production and procurement of prototypes to check compliance with all the requirements. New Product Introduction stands for the selection and implementation of the production processes based on the cost and function requirements. 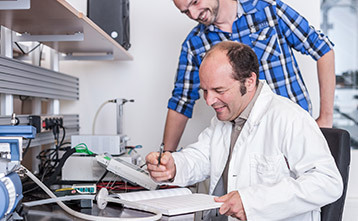 Developing the concept and feasibility for the complete realization of complex devices and instruments. Verification, validation and qualification of the development results by means of systematic tests and standardized tests, also for the approval (marketing authorization). For a rapid time-to-market, DMTpe provides the developed assemblies and products for the ramp-up-phase up until transfer to the customer or his series-production suppliers. We are certified according to EN ISO 13485. The international EN ISO 13485 standard is the standard for quality management systems in the medical device sector.